Friday, January 25, 2019, at 7:30 pm, at St. Mary Magdalen Church, 25 N. Las Posas Road, Camarillo. Sunday, January 27, at 3:00 pm at First United Methodist Church of Ventura, 1338 East Santa Clara Street, Ventura. 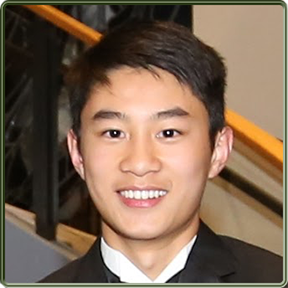 Youth Soloist Stephen Saw will perform Bruch Violin Concerto in G Minor (1st mvt); Noah Laber will perform Marcello Oboe Concerto in C minor (2nd mvt); and David Shiang will perform Mendelssohn Piano Concerto in G minor (1st mvt) (conducted by Daniel Newman-Lessler). CHICO will also perform Introduction, Aria & Presto by Benedetto Marcello and Orchestral Overture in C Major by Fanny Mendelssohn (sister of Felix M.) and Bizet’s Jeux d’enfants, and Brahms’ Tragic Overture (conducted by Daniel Newman-Lessler). Stephen Saw is an incoming junior at Westlake High School. 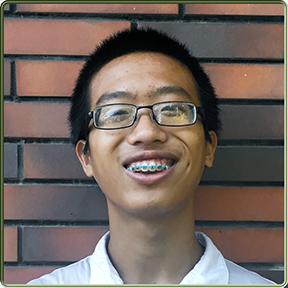 He began learning piano at the age of five with Mrs. Ornela Ervin, and soon after, started violin lessons with Mrs. Shuwei Liu. Stephen has passed the Advance Level of CM in piano with honor, and won numerous awards, including YouTube Festimantic!, SCJBF Regional, SYMF, and MTAC Contemporary Music Festival. He is a member of the TO Philharmonic Appassionata program and has worked with violin masters Mr. Lorenz Gamma and Dr. Ernest Salem, as well as performing as a soloist with the Philharmonic twice in the 2018 season. In addition to his personal pursuit of music, Stephen has shared his passion and knowledge with young students at the Conejo Valley Summer Music Camp. He also enjoys playing cards, reading a wide range of subjects from comics to politics, hanging out with friends, and taking naps at the most inconvenient times. 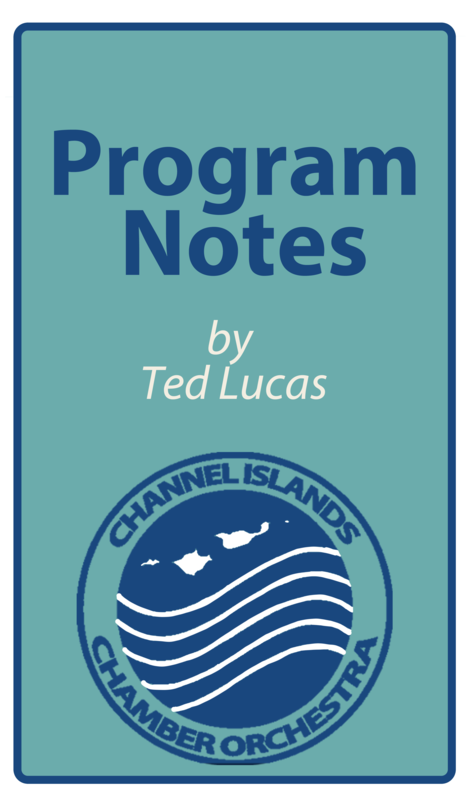 Stephen is honored to have been granted the privilege to perform with the Channel Islands Chamber Orchestra. He would like to thank his family, Mrs. Ornela Ervin, and Mrs. Shuwei Liu for nurturing his musical journey, as well as his friends for their unwavering support. Noah Laber, 15, recently completed his sophomore year at Ventura High School and is in his fifth year of playing the oboe. He studies under Mr. Fredric Beerstein of Thousand Oaks. He is a member of the Ventura High School Honors Wind Ensemble and Ventura Youth Symphony. He has participated in several chamber groups, All County Honor Band, and California All-State Band for the past four years. Noah received the outstanding soloist award at the Nationally Adjudicated Forum Music Festival at San Mateo College in 2016 and the Ventura High School outstanding musician award in 2018. He performed with the Thousand Oaks Philharmonic as a featured soloist in July 2018. 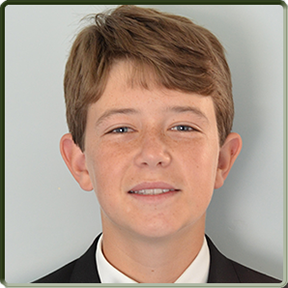 In addition to playing the oboe, Noah is a competitive tennis player who consistently ranks in the top fifty of Southern California juniors. When Noah is not playing oboe or tennis, he enjoys reading, ping pong, and beach volleyball. David Shiang, age 15, started playing the piano at the age of five. He is currently under the guidance of Mr. Mark Richman. His prior piano teacher was Mrs. Shirley Hsieh. David won the MTAC Contemporary Music Festival (2010-2016), Bach Festival (2012-2016), and VOCE (2018). David also learned to play the violin from Mrs. Teresa DiTullio, of Thousand Oaks. David was a member of Conejo Valley Youth Orchestra. In his free time, he volunteered at senior homes and church events. David is a long distance runner at Oak Park High School’s Track team. He also likes watching movies, drawing, and playing basketball. Daniel Newman-Lessler is UCSB’s Interim Director of Choral Activities and Conductor of the UCSB Chamber Choir. He also serves as co-music director for the Music Academy of the West Sing! Program, conductor of the Kadima Senior Philharmonic, and assistant conductor of the Los Angeles Zimriyah Chorale. He occasionally serves as assistant conductor for the Santa Barbara Symphony, and was the conductor for the Rubicon Theatre’s production of West Side Story. He teaches piano at Pepperdine University and is a lecturer for Cal State University Channel Island’s Osher Lifelong Learning Institute. His research on Dave Brubeck’s Gates of Justice received grant funding from University of the Pacific. Daniel’s award-winning compositions and arrangements have been performed by the Torrance Civic Chorale, Los Angeles Zimriyah Chorale, and USC Thornton University Chorus. His new works will be premiered this season by the UCSB Chamber Choir and USC Apollo Chorus. Benedetto Marcello was an Italian composer and a contemporary of Bach, Handel and Vivaldi. He is one of the few notable composers who had a full-time career in a field outside of music. (Borodin and Ives come to mind.) He studied law, held various government jobs, and for eight years was governor of the province of Pola. This delightful work for strings alone is a good example of Marcello’s late Baroque style. In three movements (all in A Minor, fast-slow-fast), the Introduction begins with a three-note motive reminiscent of the first movement of Bach’s Brandenburg Concerto No. 3. Marcello makes extensive use of melodic/harmonic sequences in all three movements, a fundamental characteristic of Baroque music. The brother of Benedetto, Alessandro Marcello was also a composer, but not as well known as his brother, and his works are less frequently played. He wrote mostly for the musicians in his hometown. The Concerto for Oboe is considered to be his best work. In the traditional three movements (fast-slow-fast), the concerto consists of an oboe soloist supported by a string orchestra. Bach liked this concerto so much that he transcribed it as a solo Concerto in D Minor for harpsichord. Today we hear the second movement—Adagio—which features a soaring, contemplative melody played by the oboe supported by pulsating strings. The Adagio is still frequently performed at weddings. This performance features the talented young oboist, Noah Laber. Fanny Hensel (née Mendelssohn), the older sister of the renowned composer Felix Mendelssohn, wrote over 450 works of music, yet few are performed today. She exhibited great musical talent as a child, and became an accomplished pianist. Her piano teacher once praised her ability, saying, “She plays like a man.” (It was highly unusual at the time for a woman to pursue a career as a concert pianist, let alone as a composer.) Many of her songs were published under Felix’s name, and some of her works have been erroneously attributed to her brother, even into this century. Written about the year 1830, the Overture in C Major is her only known orchestral work. In the traditional sonata-allegro form, it begins with a long, slow introduction which is suddenly interrupted by a loud orchestral passage leading to the first theme. The gentler second theme follows, leading to the development and recapitulation. An exciting coda concludes the work. Written when Mendelssohn was just 21, this work is considered by many to be the first Romantic-era piano concerto. Instead of a long orchestral beginning in which the themes of the concerto are introduced (typical of the previous Classical period), the piano enters almost immediately with the first theme. Mendelssohn indicates that the first movement should be played molto allegro con fuoco (very lively with fire). The tumultuous first theme is followed by a gentle, tuneful second theme before proceeding to the development section and the recapitulation. The three movements are played without a break—another innovation of the Romantic period. The talented David Shiang plays the first movement for us today. Brahms said, “one laughs while the other cries.” He was referring to his two concert overtures, the Academic Festival Overture and the Tragic Overture, both written in the summer of 1880. While the former is upbeat, fun and optimistic, the Tragic Overture is serious, dramatic and foreboding. The Tragic Overture does not follow the traditional sonata-allegro model, since the first theme comes last in the recapitulation. The work begins with two loud chords in the orchestra followed by a timpani roll, setting the stage for a deeply moving experience. One way of enjoying this work is to imagine an emotional arc that begins with catastrophe and sadness, followed by a glimmer of hope and peace in the middle section, only to return to sadness and hopelessness at the end. Of course, any interpretation that gives you the most satisfaction is the correct one! Most concert-goers know Georges Bizet as the composer of Carmen, one of the most popular operas of all time. But, of course, in his short life he wrote many other fine works, including the operas L’Árlésienne and Les pêcheurs de perles, and the piano piece Jeux d’enfants (“Children’s Games”}, a suite of 12 miniatures for piano four hands. Written in 1871, shortly before he began work on Carmen, Jeux d’enfants is his most well-known keyboard work. It was so popular in his lifetime that he orchestrated five of the miniatures (numbers 6, 3, 2, 11, 12) and called it Petit Suite. This orchestrated version also became quite popular in his lifetime. We hope you enjoy it as much as Bizet’s Parisian audiences did. One of the greatest violin concertos of all time, the Concerto in G Minor is technically very difficult and physically demanding. Max Bruch was a friend of Johannes Brahms (who also wrote a great violin concerto), and the Romantic style of this work is very much in the conservative style of Brahms, as opposed to the progressive style of Wagner and Liszt. The first movement begins with a series of deeply contemplative and expressive passages on the violin, improvisatory in nature, separated by commentary in the orchestra. A faster middle section gives the soloist a well-deserved break, while the third and final section returns to the dramatic and lachrymose style of the first section. The first movement ends softly and peacefully as it flows seamlessly into the second movement (like the Mendelssohn concerto above and his famous violin concerto). The talented violinist Stephan Saw plays the first movement for us today. Thank you to Women’s Philharmonic Advocacy for their support of CHICO. Today we proudly present music by female composer, Fanny Mendelssohn Hensel.